Dust off winter - this is the time for your hair and skin to shine. Spring is all about post-winter regeneration, with a focus on clarifying and restoring the hair’s cuticle to prevent lipid and moisture loss. This also enables hair to reflect light giving it a brilliant, healthy sheen. 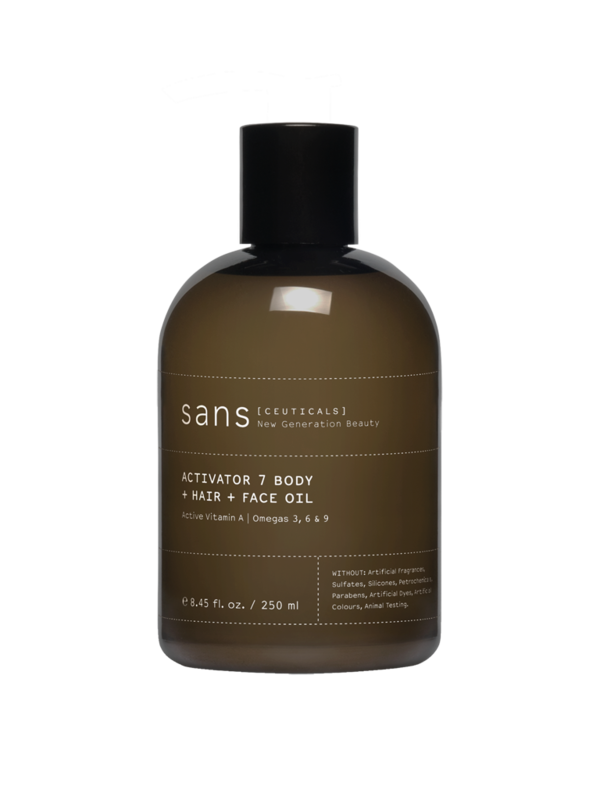 Apply a cherry-size dollop amount of Sans [ceuticals] Hair Wash to wet hair, massage then rinse. On the second wash, once lathered, leave in for a few minutes to remove build up and allow the active ingredients to treat the hair and scalp. This has a clarifying and brightening effect on the hair. 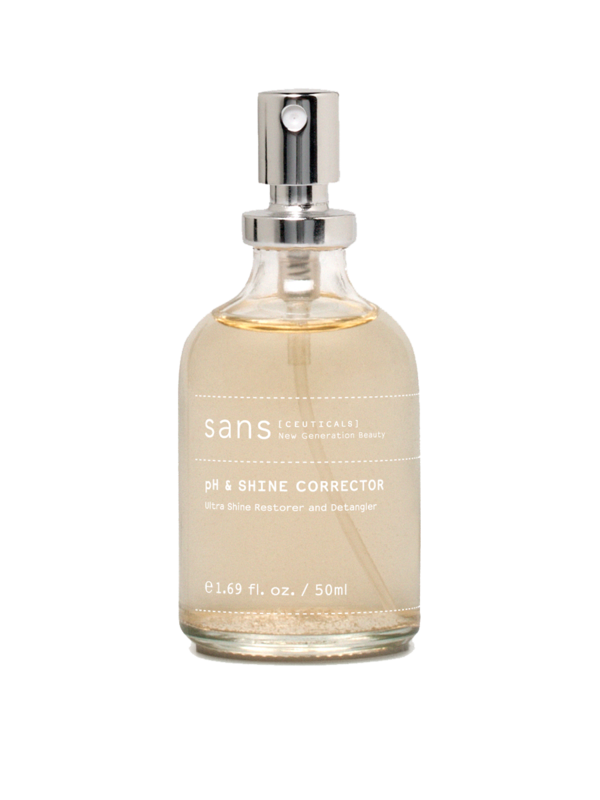 Spray approximately 15-20 pumps of Sans [ceuticals] pH + Shine Corrector over the top of your Hydratant to intensify and boost hydration, again working in with fingers to increase penetration. This corrects and closes the hair cuticle sealing in vital moisture, lipids and proteins. Leave for approximately 1-2 minutes, then rinse. Use twice weekly to correct the hair’s pH and repair to its natural virgin state. Spring is about post-winter regeneration, with a focus exfoliating the rough, dry layer of winter skin to allow fresh new cells to be fed and nourished with omegas and active antioxidants. 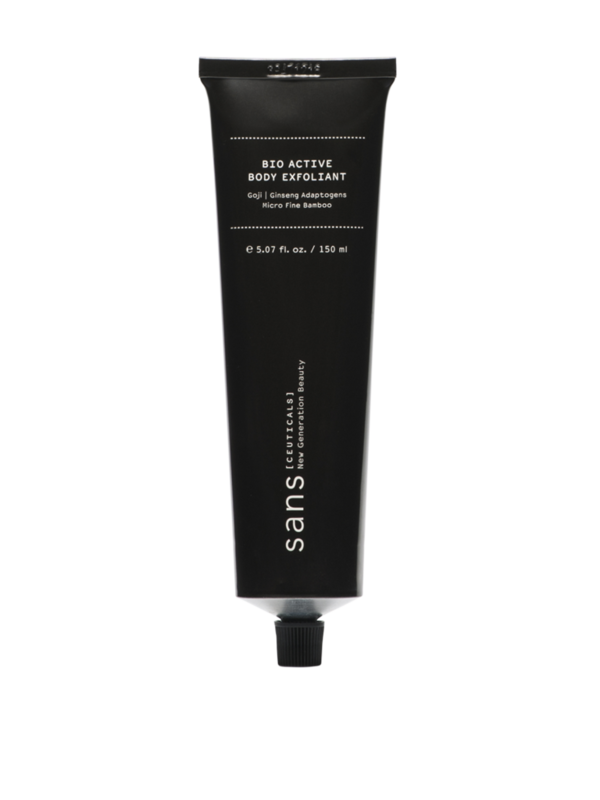 Apply Sans [ceuticals] Bio Active Body Exfoliant to dry skin to enhance friction and maximise product coverage. Massage vigorously into skin, paying special attention to rough and hard-to-get-to areas. Rinse. Use once a week for gentle, yet effective exfoliation. When skin is buffed, smooth and still wet, apply a layer of Sans [ceuticals] Activator 7 Body + Hair + Face Oil. This creates a hydrolipic film, trapping in moisture for double-duty nourishment to leave skin soft, smooth and glowing. Gently pat dry with a towel. Restores hair to its virgin state by altering the pH using a unique combination of B vitamins and fruit enzymes. Brightens and enhances to create incredible natural shine by flattening the cuticle to reflect light. The ultimate health boost to make hair silky smooth and detangled. 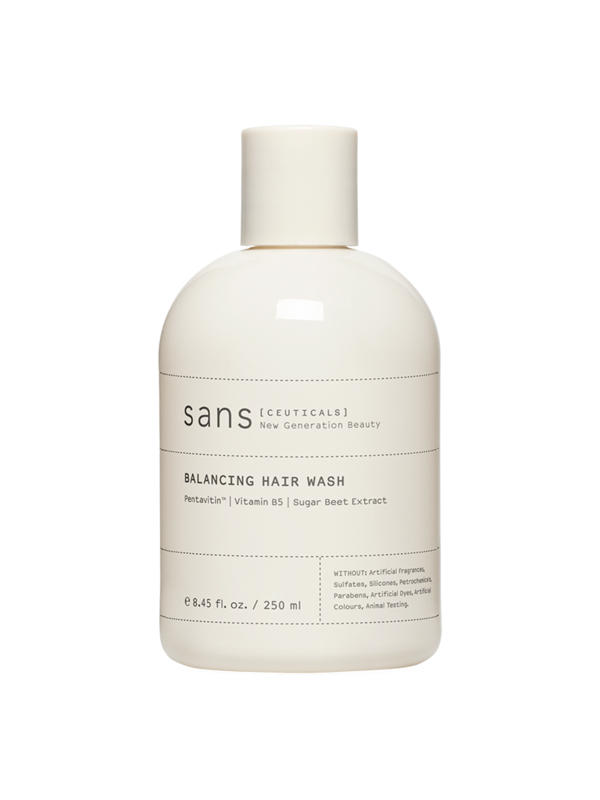 Cleansing should be a mild and gentle process, protecting the hair without stripping it of its essential elements. All our washes are sulphate-free and crafted from sustainable ingredients. Our Balancing Hair Wash is designed to maintain hair’s condition and shine. A great formulation for short hair, men’s hair, and hair that’s not too chemically challenged. 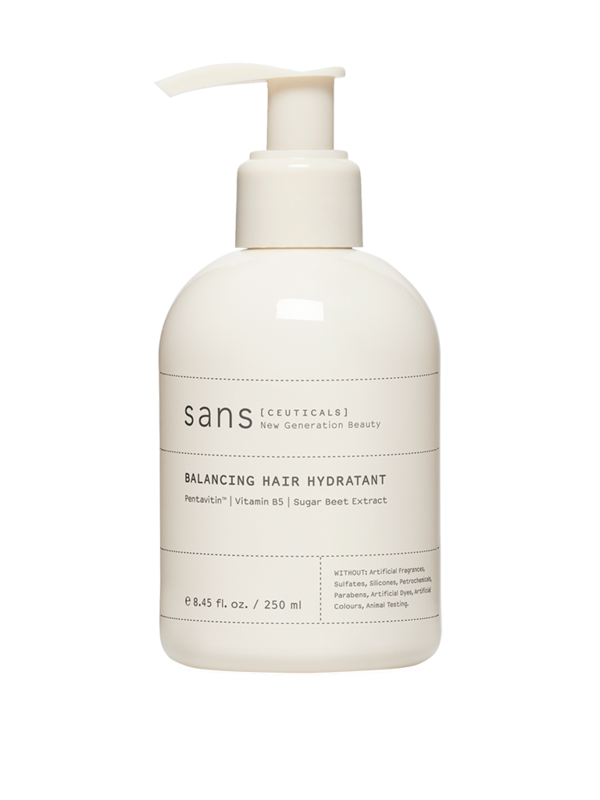 Balancing Hair Hydratant is specifically designed to maintain condition and shine. A great formulation for short hair, men’s hair or hair that’s not too chemically challenged. Tone, smooth and rejuvenate tired skin with finely milled bamboo granules, shea butter, goji berry and cell-rejuvenating vitamin E. This luxurious gel formulation will leave skin looking fresh and luminous. 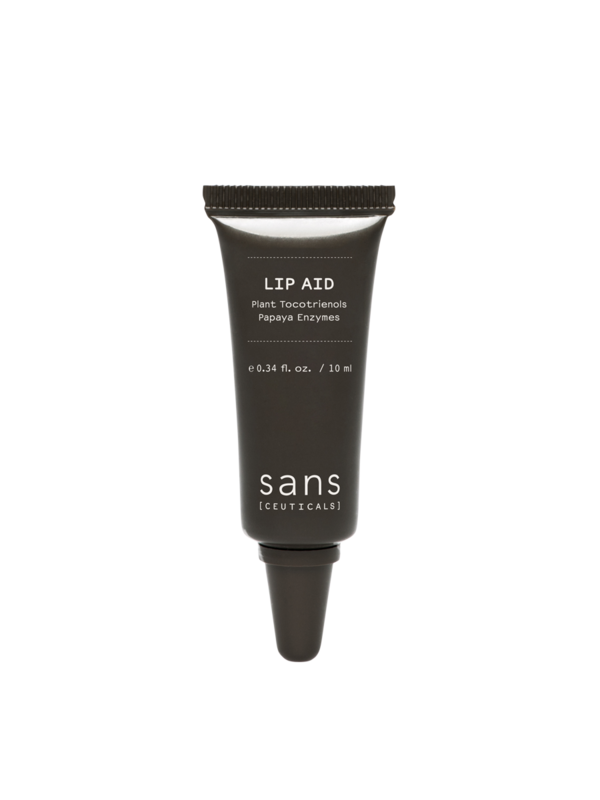 This rich and velvety lip treatment is designed to target dehydrated and parched lips and encourage cell renewal.